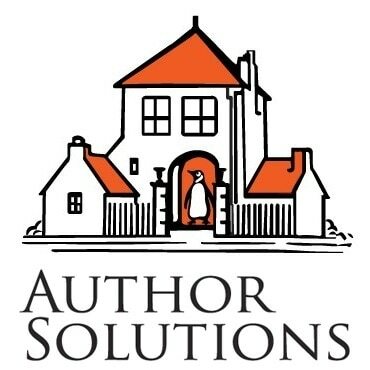 If you've been following digital publishing news for any length of time then you are probably aware of Author Solutions, the Random Penguin Solutions vanity press subsidiary. And I am sure you are also aware that in many circles Author Solutions (ASI) has an infamous reputation for less than ethical business practices. Today I would like to share with you an email that demonstrates that ASI's bad reputation is well deserved. Such horror stories are from websites that are being sued for racketeering, their (sic) essentially hiring people to write bad reviews about big companies. I don’t expect you to believe me, all I can tell you is the facts. We’ve been in business for 15 years, published over 91,000 books, we have an A with the Better Business Bureau, we are regulated by the FCC, and our company is a part of the Penguin Random House group. Many of my authors have even returned in recent months to publish their second and third book. I hope we hear from you again. If you're having trouble believing that this is real, you're not alone. I read about this story several days ago on Suess's Pieces, but I didn't really believe it until I received the forwarded emails. There are so many things wrong with this email that I don't know where to begin. First, the claim that "horror stories are from websites that are being sued for racketeering" is laughably false. A group of former ASI customers have filed a class action lawsuit against the company, and that lawsuit is still ongoing. Next Eric attempts to claim a good record based on ASI's rating at the BBB. That means nothing; even Hamas (yes, the terrorist group) has an A rating at the BBB. And the claim that ASI is "regulated by the FCC" is also misleading nonsense; the FCC regulates communication industries and not the business practices of a vanity press. The above email is an entertaining collection of lies, misleading statements, errors, and it even includes an attempt to hide behind the reputation of Random Penguin Solutions. Now I finally understand exactly why ASI is reviled. Just think; this is the company that has signed deals with Lulu, F&W Media (Abbot Press), Simon & Schuster (Archway), Penguin India (Partridge), and Harlequin (DellArte Press). Those otherwise respectable companies have hired Author Solution to provide its suite of overpriced services under their own brands. This effectively makes them front companies and willing partners for a vanity press that has blatantly lied and has a class action lawsuit filed against it. To put it in the words of one blogger (April Hamilton, I think), they have crawled into bed with Bernie Madoff. What does that say about their ethical standards? But as bad as it is for Author Solution's front companies, it gets worse. This is the company that Penguin bought in mid 2012 (before the Penguin/Random House merger). They had a bad reputation then, and it's clear that the tiger has not changed its stripes. Only now ASI is part of Random Penguin Solutions. I know that's not the correct name, but I am sure you can understand why I continue to use that name to refer to this publishing conglomerate. Look at the email, and tell me it doesn't fit. I hope they keep on throwing around the name of the Randy Penguin to show how trustworthy they are. Congrats! You’ve just named their mascot. The term is in common use over at the Passive Voice.